The wiki was initiated in January 2007, intended as a venue for Digital Chalkies to post links related to the various categories associated with the group blog. But with time and devotion missing, a change of direction was made in August 2007. The wiki has now became a repository for “web2.0 in education” related videos. 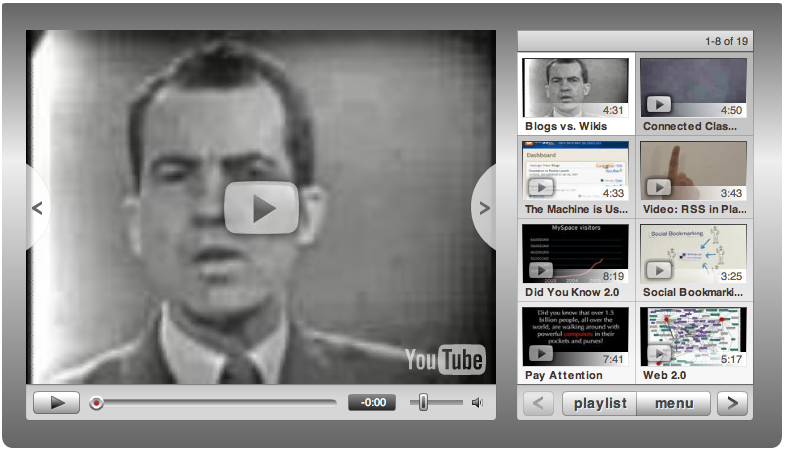 Click on the web2.0 video wiki tab above to access. Please free to recommend any videos by editing the wiki and adding recommendations. There is a lot of interest in the question of how web2.0 tools can add value to the knowledge generated by students and teachers in class. The issues and technology at hand are complex - video is often an effective way of communicating understanding and ideas. Anyone can edit the wiki pages. Contributions are welcome. Follow the how-to video tutorials mentioned in the previous post or here. Notifications of your edit will be sent to Digital Chalkie moderators.